A cavity is carved out of the trunk of the tree. The little corpse wrapped in a shroud is placed inside. The opening of the sylvan tomb is filled in with a weave of branches and cloths. Gradually, over the course of the years, the wood of the tree grows over it, retaining the child’s body within its own large body, beneath its newly healed bark. Then, very slowly, in harmony with the patient rhythm of the tree’s growth, begins the journey that will see it rise up towards the heaven. Like the Toraja tree, she continued over the years to have her child grow within her innermost being. Her woman’s body was filled with the presence of the little dead corpse which she never really buried but which she welcomed into her home, into her inner dwelling and into her life, moulding her according to her different ages, having her blossom into a giggling little child, then into an eternal and idealised young girl, and who took up so much room that Florence never, either with me or with Luc, her new husband, tried to have another child afterwards. As the above passage implies, Claudel writes in long, lush, meandering sentences. There is deliberately little narrative pull as we listen to his tender, melancholy ruminations on various aspects of life, which usually revolve around, or end up, in death. It is not surprising to see that the narrator recounts scenes from Proust, as the two clearly share a penchant for minute explorations of consciousness. “I’ve always had a tendency to listen to myself too much. Perhaps I need to keep my distance from myself,” he notes at one point, not without signs of emerging depression. Today, it seems to be that, thanks to this free-flowing narrative, its layout and its development, not only am I obliging Eugène to remain near me, I am also keeping him on a sort of life-support machine, in a coma that is not exactly death, but at the same time I am able to resume work on my house. […] Eugène is here, in the pages, in the lines, or between them. Their relationship suggests that the narrator has never quite reached a similar bond with the women in his life, with whom, one could argue, the narrator acts somewhat egoistically. There’s a tinge of the dudebro tradition in his dealings with Elena, a much younger love interest, their situation characteristic of the Philip Roth generation of writers: an older male author, who not unsurprisingly reads only other male authors (Milan Kundera is the most significant name in this novel), having sexual relations with a young woman. 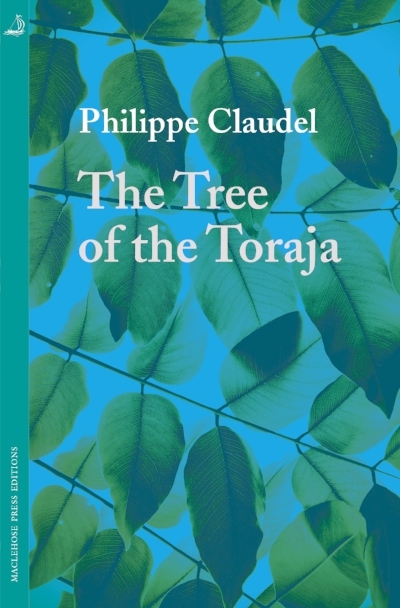 This aspect – which often triggers the feminist in me – aside, The Tree of the Toraja is first and foremost a beautiful novel, a grower that reveals its many sides after reading. The way that the eponymous tradition is woven into the narrative indicates the sort of mastery of storytelling that often only an established author is capable of. Coincidentally, it is very similar to the Uruguayan novelist Daniel Mella’s Older Brother, which has just been published as well. Both are autobiographical, short novels, clad in green covers, which deal with death, and, most surprisingly, share a character who is struck by lightning.